Why do spicy foods feel hot? A look at the science behind the world’s spiciest hot chili peppers, including the new “Dragon’s Breath” variety. He swears that it was an accident, but a Welsh farmer has grown the world’s hottest chili pepper. Originally intended as an attractive ornamental, the Dragon’s Breath has booted the previous heat record holder, the Carolina Reaper. The standard heat rating scale for peppers is called the Scoville Scale after its inventor, Wilbur Scoville, an early twentieth century pharmacist and pepper aficionado. The scale ranges from 0- 15 million Scoville units. A Scoville Score represents the ratio of pepper to water that is detectable to a taster. A mild pepper is easily tasted without any dilution. A very high Scoville score indicates that a pepper can still be tasted even in extremely dilute amounts. A Thai chili, for example, rates 100,000 Scoville Units. One drop of ground Thai chili can still be tasted when it is mixed with 100,000 drops of water. A standard habanero is around 300,000 Scoville Units. The Dragon’s Breath rates a staggering 2.48 million Scoville units. In other words: don’t eat it. What does spicy even mean, biologically speaking? The top of the Scoville Scale, 15 million, is reserved for pure capsaicin. Today, chili hotness is measured more precisely using chemical analysis of the capsaicinoid concentration present in the pepper. That value is converted into Scoville Units for comparison with other peppers. What happens when you taste an extremely hot pepper? Specific nerve cells, capable of sending pain impulses in response to damage, have receptors for capsaicin on their membranes. When capsaicin is present, calcium ions flood the nerve cells, causing that familiar sense of burning. This receptor is part of a related group known as thermo TRP channels that are sensitive to different temperatures, aiding in the regulation of body temperature. 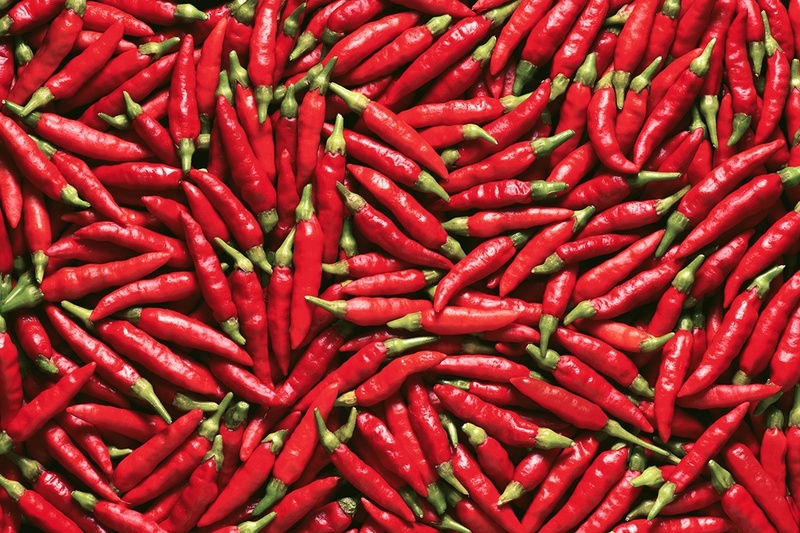 TRPV1, the capsaicin receptor, can also be triggered by unpleasantly high temperatures. Essentially, your body’s response to a hot pepper is physiologically very similar to being exposed to actual heat. However, heat responses are triggered in other ways besides just the capsaicin receptor. To reiterate, the new pepper, and anything similar, is not for eating. Just as exposure to too much heat can burn, too much capsaicin can be hazardous to your health. At least one person had to be hospitalized with severe injuries after eating ghost peppers (~900,000 Scoville units). Dragon’s breath is best enjoyed for its stated purpose: good looks. How big a difference does air resistance make when running a marathon? Nike tried to find out recently. 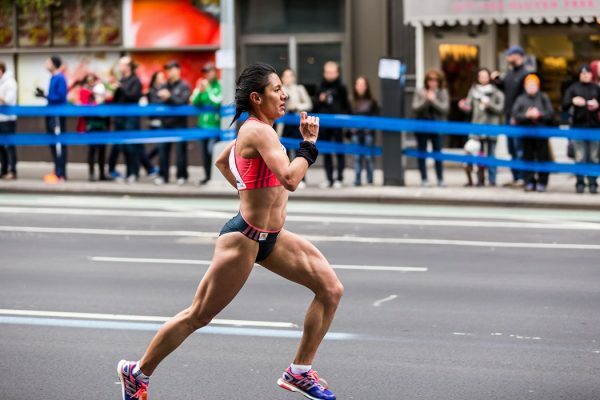 A look at the science behind the 2-hour marathon.